Get now the Tracker rear view mirrors from Puig in color Anodized aluminum. The mirrors are one of the fundamental parts of a bike. Some old or worn rear view mirrors get worse the general aesthetic of your bike. 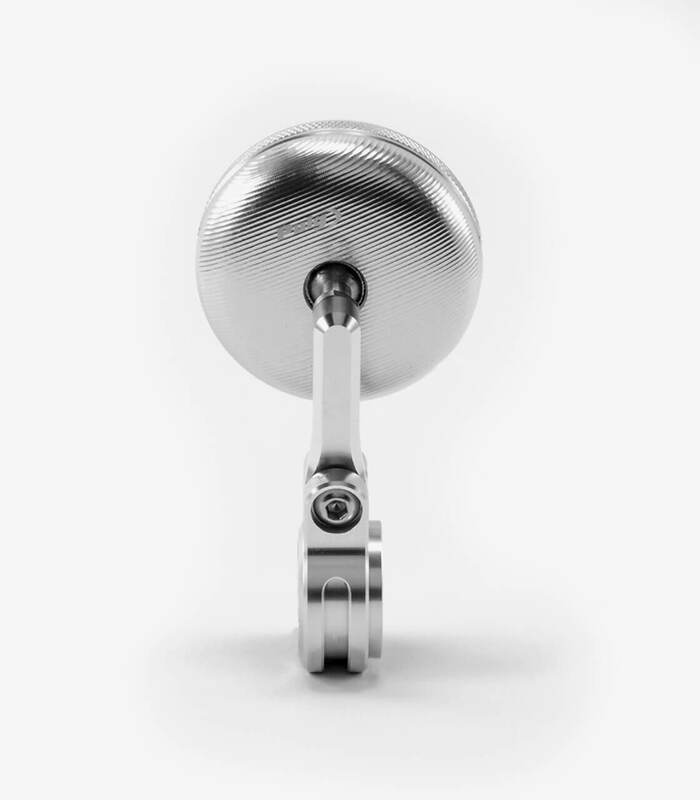 Universal rear view mirrors from the brand Puig model Tracker for handlebar in Anodized aluminum color will bring a unique design to your bike. 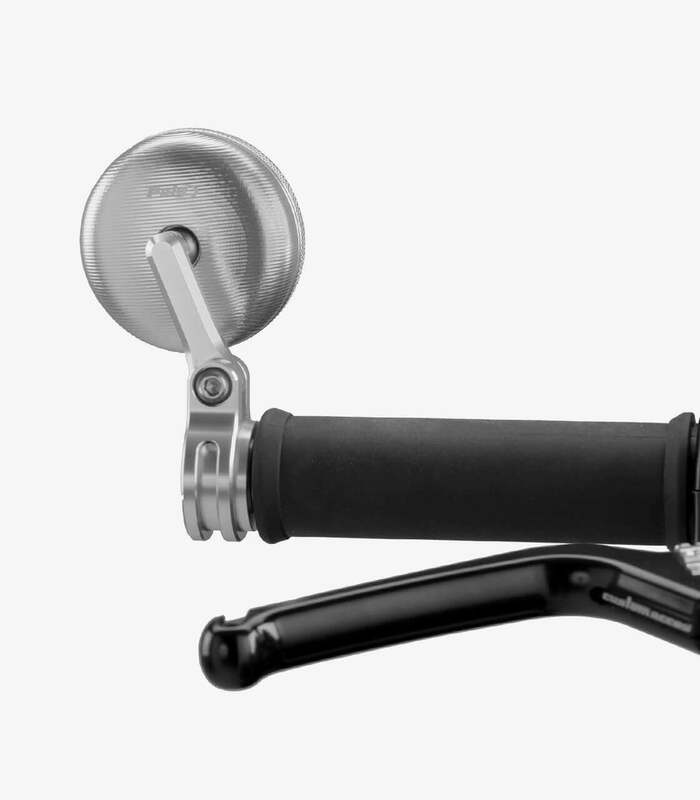 Important: This model is universal, it adapts at the end of the handlebar replacing the bar end. It has a universal adapter for default handlebars with an internal diameter from 13 to 18 millimeters. Specific adapters are available for some motorcycle models that require it. You can see three selectable options: Both sides, right or left. In "both sides" are included both the right and the left mirror (they are sold separately). If you only need a specific side you can choose it in this section. This model uses the same reference for both sides, so the right mirror will also work for the right side and vice versa. 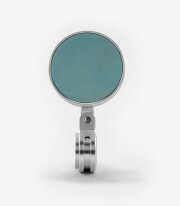 The rear view mirror (not the entire mirror, only the glass) measures 62mm width and 62mm height. 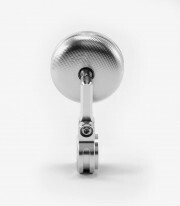 The complete width of the rear view mirror is 72mm and the total height is 90mm.